Star Wars: The Force Awakens Blu-Ray Set May Feature 3 Discs. 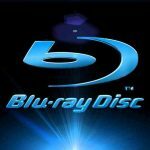 The post Star Wars: The Force Awakens Blu-Ray Set May Feature 3 Discs. appeared first on Star Wars News Net. Star Wars: The Force Awakens Blu-Ray Aiming at April 5, 2016 Release Date. Rumor: The Star Wars prequel trilogy coming to 3D Blu-ray later in the year!